An electric hydraulic lift table with a 30" x 60" platform that will hold up to 3000 lbs. and features a 24V push button control with an 8" cord. 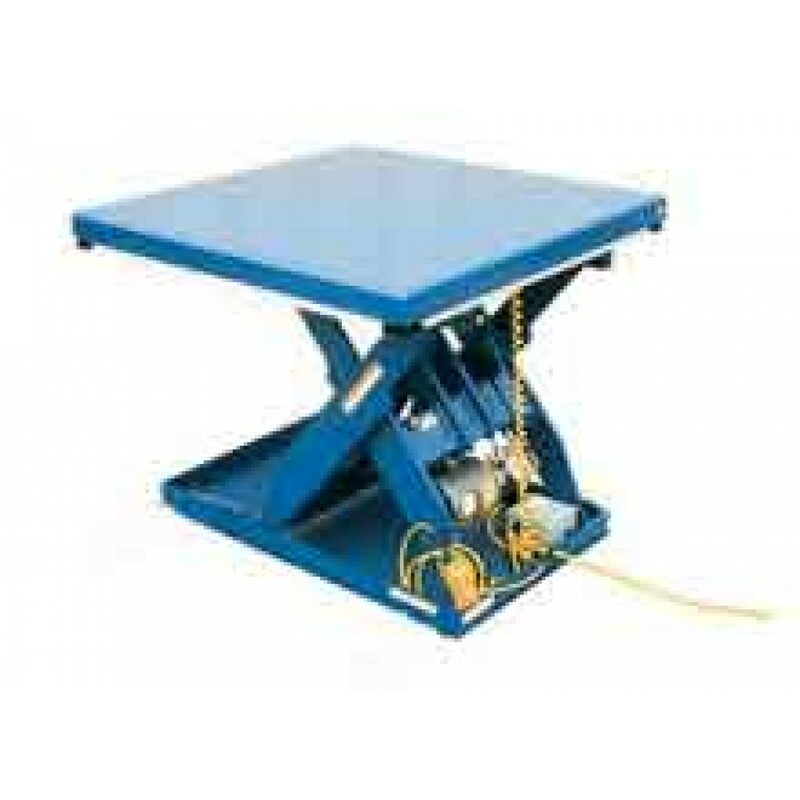 The Vestil EHLT-3060-3-43 Electric Hydraulic Lift Table has a 3000 psi hydraulic component rating. Platform Size: 30" x 60".